Even though the books I got aren't YA books, I SINCERELY appreciate the thought these publishers have put into sending me bookish parcels and I will be reading and reviewing them. 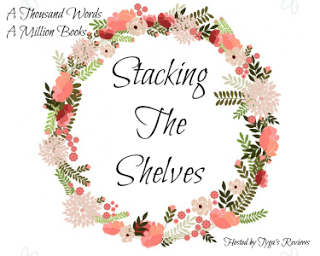 Stacking the Shelves is a weekly meme hosted by the lovely bookish humans at Tyga's reviews and is all about the books you stacked onto your shelves over the last week, whether they were bought, gifted or received. 1. 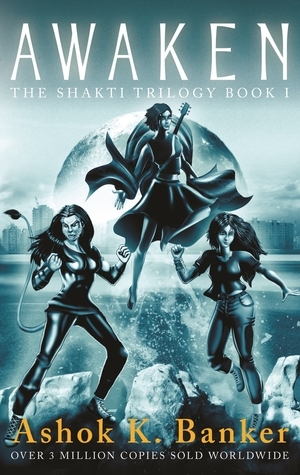 Awaken by Ashok Banker: So I've seen this book around and it had me at Feminist Indian Fantasy. THESE DON'T EXIST, Y'ALL (or none that I've read - I'm not particularly well versed in Indian Fantasy) but apart from the cover that's not the best it could be, this book has stunning reviews and I'm actually really excited to read it! You can check it out on Goodreads here. 2. Charlatans by Robin Cook: Confession Time: I haven't read a Robin Cook book before today, but now that I have a copy of Charlatans, I'm sure I will! 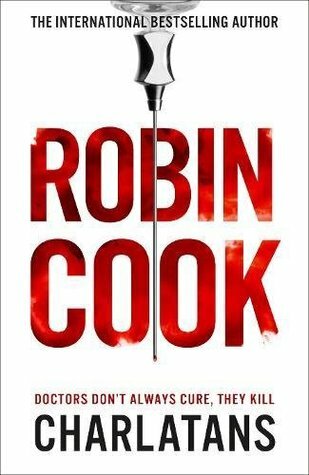 Fun fact: As soon as my dad saw this book, he kind of freaked out and said that he LOVED Robin Cook and stole the book from me to read first. I love it when my family is interested in the books I get. 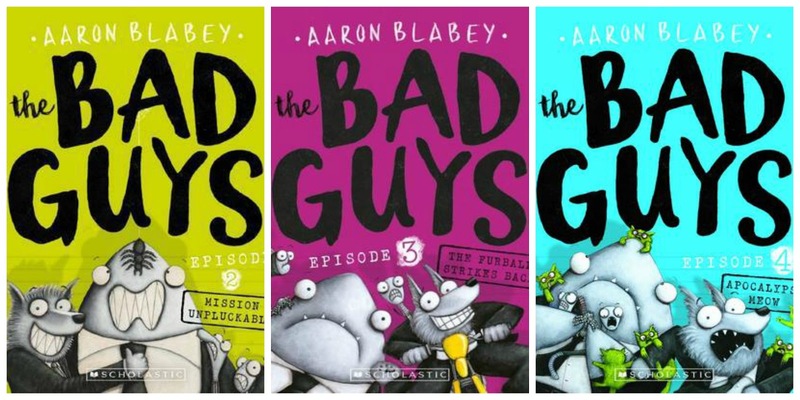 I read book one in this HILARIOUS children's series a long time ago and I fell in love with it. 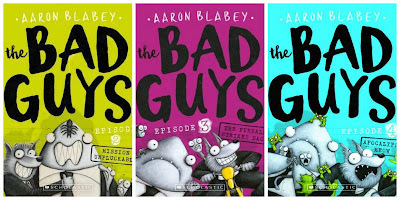 The Bad Guys is a gorgeously illustrated and hilariously told story about four traditional bag guys - the Big Bad Wolf, a snake, a pirhana and a shark trying to be heroes and the pure madness that ensures. Even as an adult, I thoroughly enjoy this series. 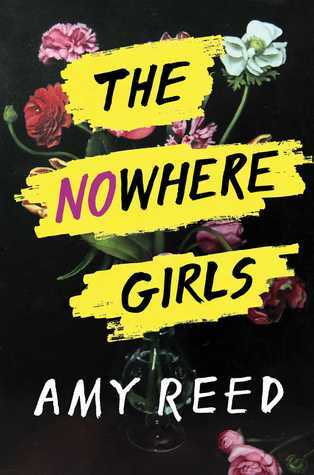 You can read my review of book one here. 4. 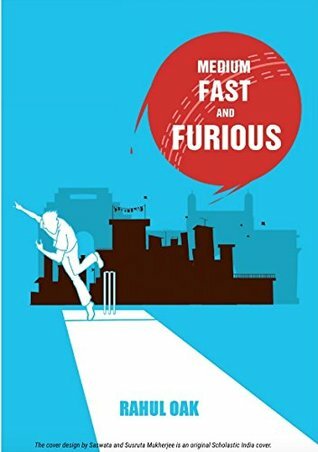 Meduim Fast and Furious by Rahul Oak: This book promises my puppy love and I HONESTLY couldn't ask for anything more. It's set in the 90's in Bombay, India and is coming age story with cricket, friendship and puppies! It sounds really cool. 5. Beetle Queen by M.G. 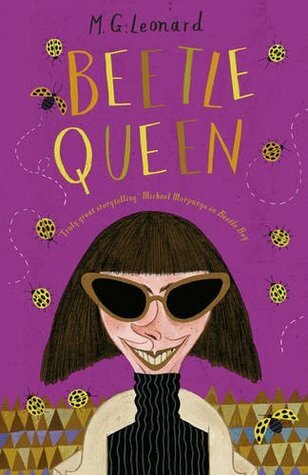 Leonard: I read Beetle Boy last year as a part of another surprise mail package from Scholastic and now I have Beetle Queen! 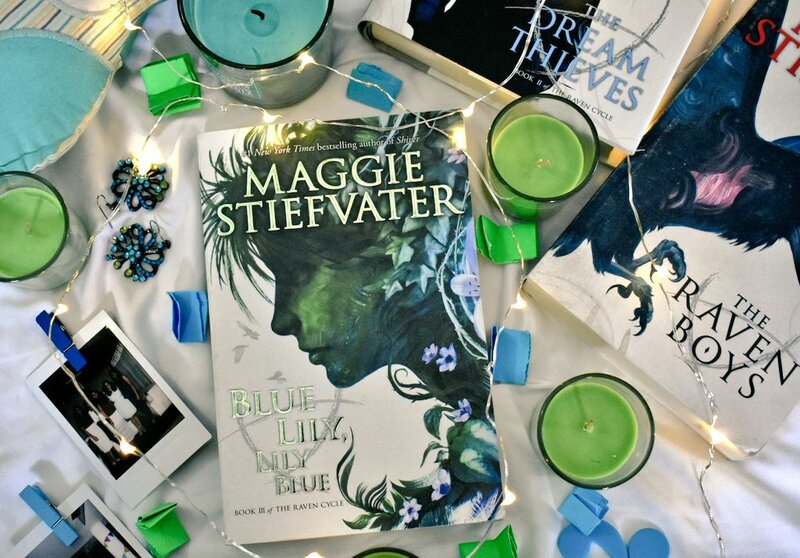 This edition has gorgeous spotted edges and while I don't know when I'll be able to make time to read this beauty, I'm so grateful to scholastic for sending it to me. 6. 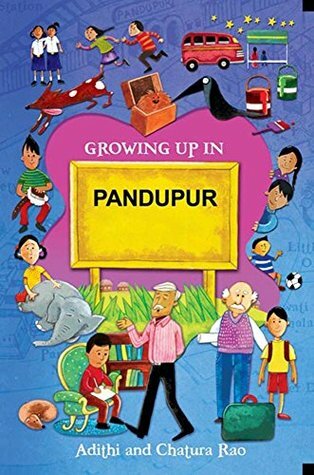 Growing Up In Pandupur by Adithi and Chatura Rao: This is so surprising because the cover I just received isn't up on Goodreads yet, and I really wanted it to be because it is gorgeous. This is all about growing up in small town, traditional India and are exactly the kind of stories I loved as a kid! 1. 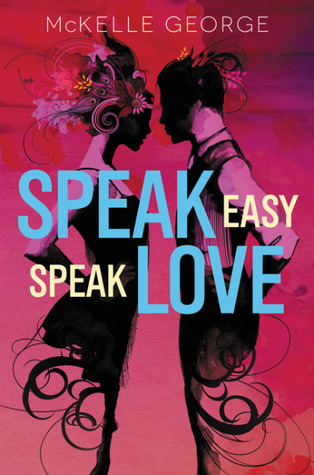 Speak Easy, Speak Love by McKelle George: I'm SO SO EXCITED to announce that McKelle George will be one of the SEVEN wonderful authors that are going to be a part of Meet The Authors September! The cover of her book is absolutely stunning and this is a SHAKESPEARE RETELLING! McKelle was AMAZING enough to get me approved to read a copy on Edelweiss and I can't wait to do just that! 1. 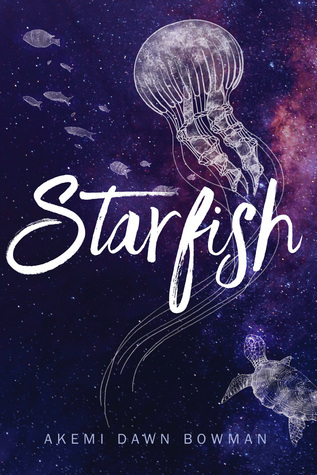 Starfish by Akemi Dawn Bowan: I freaked out the MINUTE I got the chance to read this book because IT SOUNDED LIKE THE BEST THING EVER. I almost immediately flipped it open and fell in love with the prose, the characters and the art. 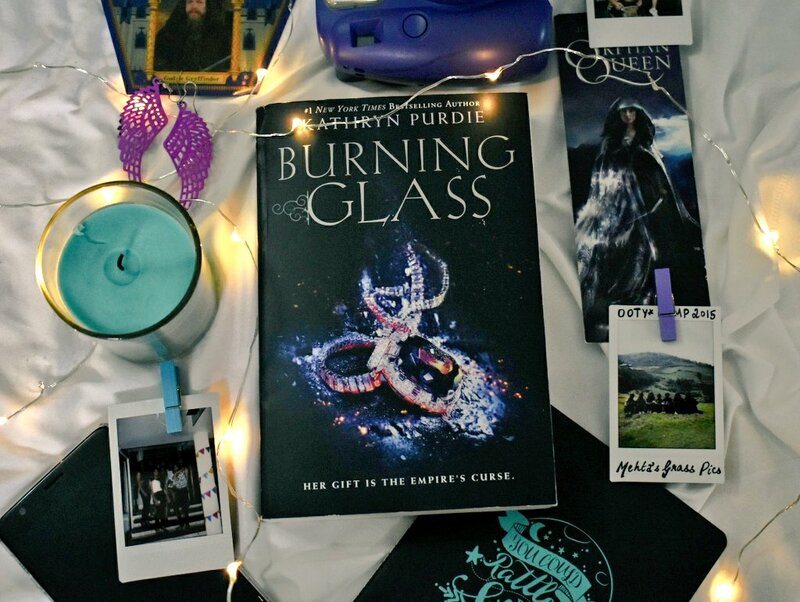 I've already posted my review on Goodreads and it'll be on the blog soon. LONG STORY SHORT: You NEED THIS OMG IT'S BEAUTIFUL. 2. 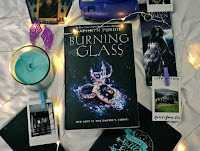 Burning Glass by Kathryn Prudie: I've been meaning to buy this book since LAST YEAR and I did as SOON AS the paperback version came out. I've heard that this is brilliant from multiple trusted bloggers and I can't wait to begin!